When Sid and Kokil first moved to their new neighborhood, they heard some strange noises from the surrounding hills late at night. They turned to SmartThings to help monitor and secure their home from unwanted visitors–including the wild coyotes in the area (eek!). Take off your shoes and check out their smart home! 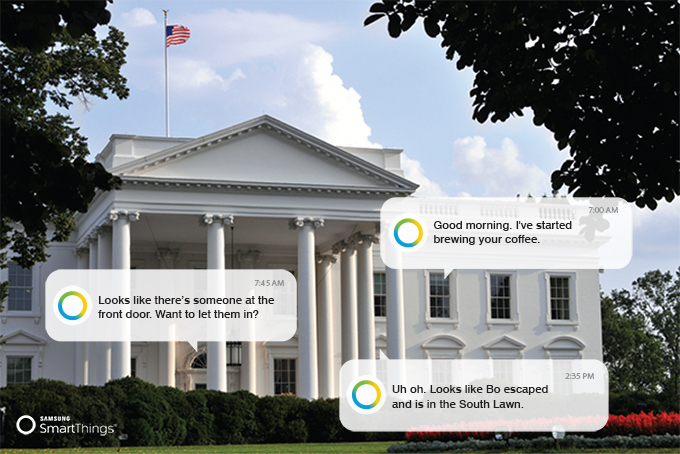 Sid and Kokil use SmartThings to stay connected to each other and their kids. They do this two different ways: The first is that Sid and Kokil use their phones as presence-sensing devices. The second is that they give their school-aged son a SmartSense Presence sensor that he keeps on his backpack. 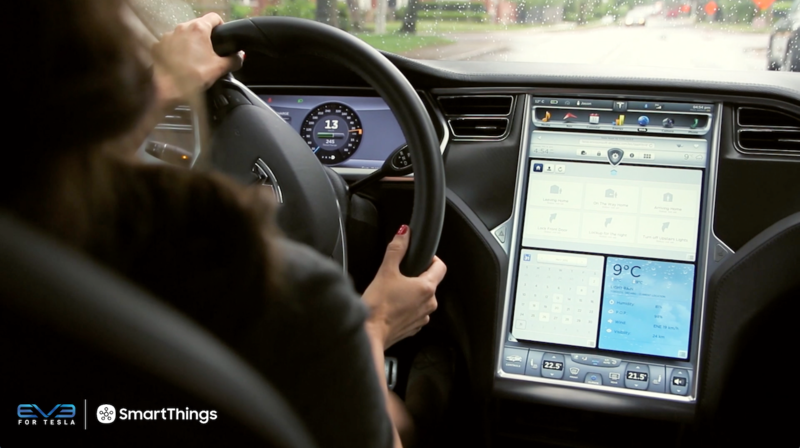 Both options will allow you to get a push notification on your smartphone whenever people leave and approach home. 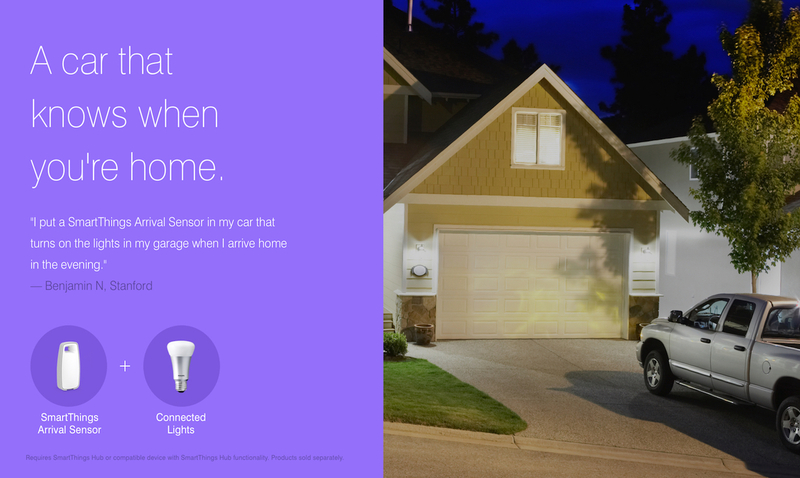 Because Sid uses his smartphone as a presence device, his garage door automatically opens whenever he arrives, and closes behind him after he drives away. 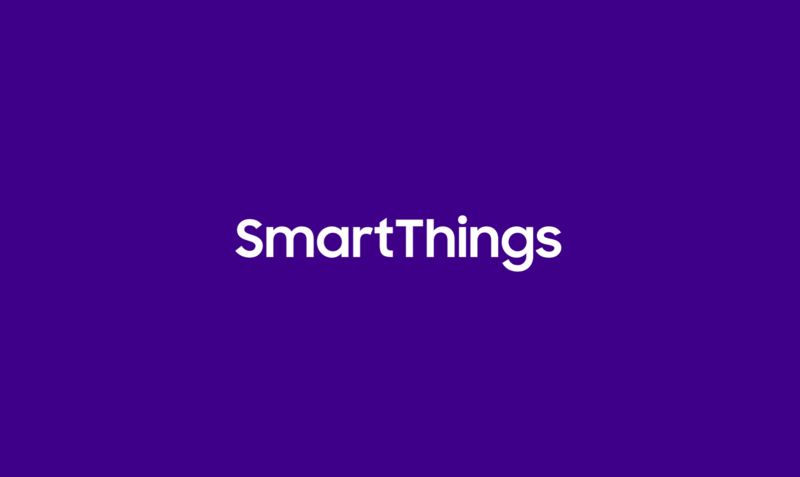 Here is a detailed post showing you how you can do this, and here’s a video showing you how to set this up in the free SmartThings app. 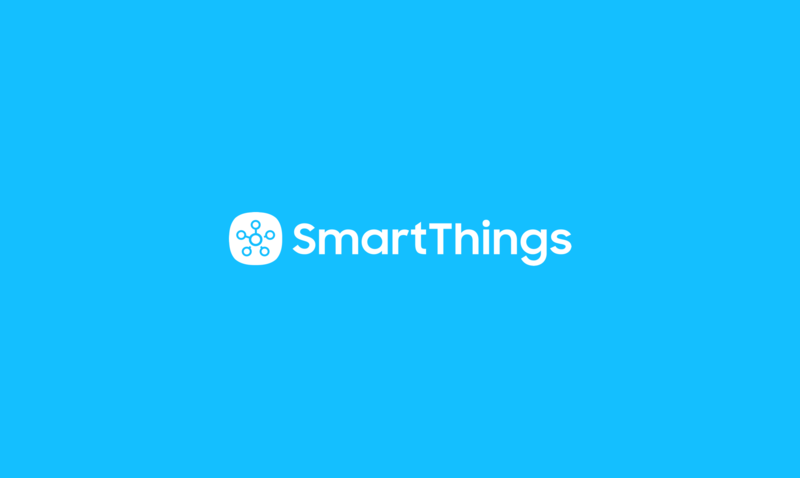 While Foscam is not officially supported by SmartThings yet, lots of developers in the SmartThings Community have figured out how to use it with their SmartThings setup. Full disclosure: It does take some technical know-how. Sid says that he was able to do this by using the Foscam universal device as the device type in SmartThings. He provided the local IP address of the camera and set up the camera/router with a static IP address.